Edward George Baker’s father Allen was the Denbies Estate bailiff when Edward was born in 1910. Eldest son of Joseph Baker (a farm bailiff) and Elizabeth nee Fox, Allen was born 1865 in Frensham, Surrey. In 1871, the family were living at Crosswater, Frensham in the household of 75-year-old George Baker, farmer of 22 acres (probably Joseph’s father). By the 1881 census George has presumably died and Joseph is farming 26 acres, the fifteen-year-old Allen working with him. Allen’s younger brothers are still at school. 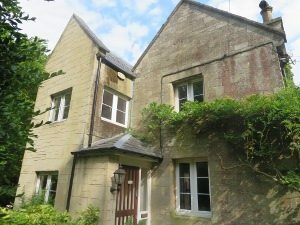 By 1891 Allen, now an agricultural labourer, is lodging at Ashcombe Cottage, the home of Richard Ansell, the Denbies Estate foreman. This is obviously where Allen met Richard’s daughter Elizabeth and they married at St Barnabas Church on 9th June 1894. By this time Allen has been promoted to farm bailiff at Bramley (Henry Cubitt’s estate) and he and Elizabeth are living there at Birtley Farm in 1901, with two of their older sons. After a spell farming in Grafham, in 1910 Allen got a job back at Denbies as Estate Bailiff; the family moved to West Cottage at the eastern end of Ranmore Common, where their youngest child Edward George was born. (The Sketch Map of Ranmore Common shows the position of houses.) The Bakers then moved to Ranmore Farm at the western end of the Denbies Estate, and Allen stayed there for the rest of his life. He is in the 1934 Denbies Harvest Home photograph of men with 20 years’ service. He died on 6th April 1937 and is buried in St Barnabas churchyard (no grave reference, but possibly where his wife was later buried, D7). The adjacent grave is that of his second son Charles Frederick, RN, who predeceased him in a motor accident). 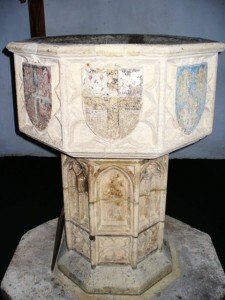 Edward George Baker’s mother was the daughter of Richard and Jane Ansell. Richard was a Denbies Estate woodman, later Estate foreman. 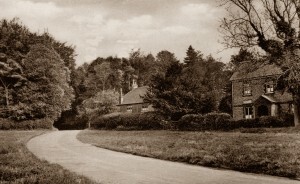 Elizabeth was born 1869, probably at what became Ashcombe Cottage (formerly Ranmore Wood Cottage), the last house before the woods close in at the eastern end of the Common – ideal for a woodman. Elizabeth was among the youngest of Richard and Jane’s children and baptised at St Barnabas on 4th August. She appears to have gone to the School: the logbook states that an “Elizabeth Ansell” (probably the correct one) was absent through sickness a fair number of times. On 9th August 1894, at St Barnabas, Elizabeth Ansell married Allen Baker, originally her parents’ lodger but now living at Bramley and managing Birtley Farm (no doubt for Henry Cubitt). After a spell at Grafham, in 1910 they moved back to Ranmore and West Cottage, close to Elizabeth’s family at Ashcombe Cottage. Their youngest child Edward George was born there. Elizabeth is probably the “Mrs Elizabeth Baker” who served in Lady Ashcombe’s Needlework Working Party as a VAD (Voluntary Aid Detachment). Little more has been found about Elizabeth until her death in 1964 aged 94. She is buried in St Barnabas churchyard (D7) next to her second son Charles Frederick whose grave includes a plaque to her youngest Edward George. 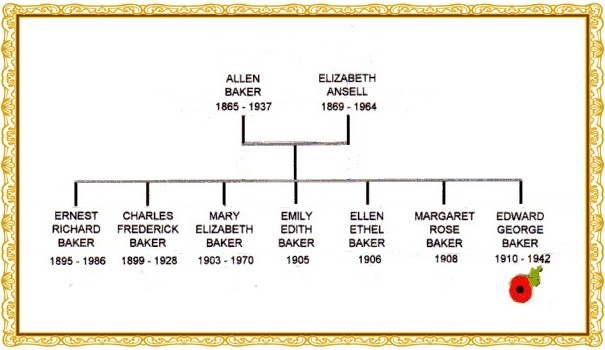 The seven Baker children were: Ernest Richard (1895), Charles Frederick (1899), Mary Elizabeth (1903), Emily Edith (1905), Ellen Ethel (1906), Margaret Rose (1908) and Edward George (1910). The first four were born at Bramley, the next two at Grafham, and Edward at Ranmore. The eldest Baker child was born at Bramley on 3rd May 1895 and baptised at Holy Trinity on 30th June. By the 1911 census the family had moved to Ranmore and Ernest was working as a van driver on the Denbies Estate. 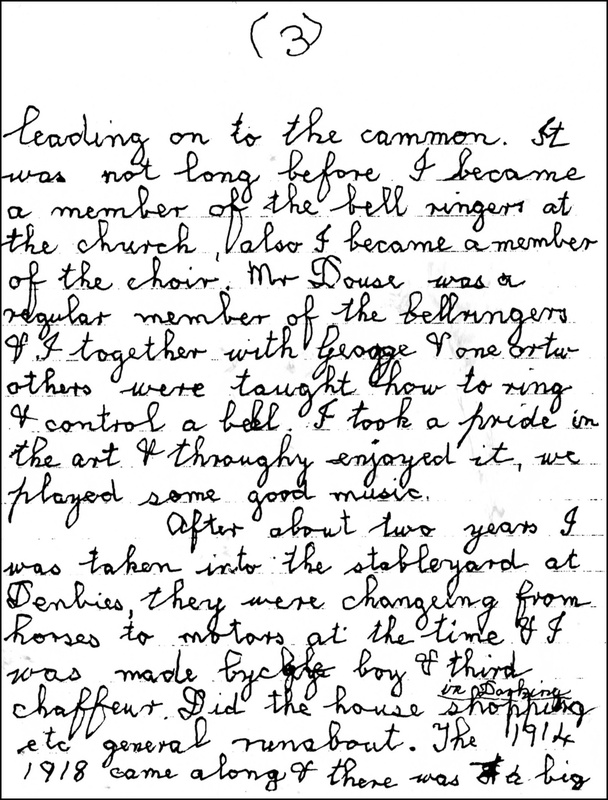 Below is part of his very interesting and detailed letter (now in the Ranmore Archive) which states that he was a labourer on the Estate for a couple of years before he was taken into the stableyard at the time they were changing over from horses to motors. He was bicycle boy and third chauffeur, doing the house shopping in Dorking and general runabout. He also became a member of the choir at St Barnabas and a bellringer. When war broke out, Ernest went to enormous lengths to get into the Forces, as the subsequent pages of his letter show (see “They Also Served World War 1″). Eventually in August 1915 he made it into the Army Service Corps. His service documents have survived, so there are more details about his military career on that page. He was 5 foot 9.5 inches tall (taller than most men for the time), and weighed 137 lbs. 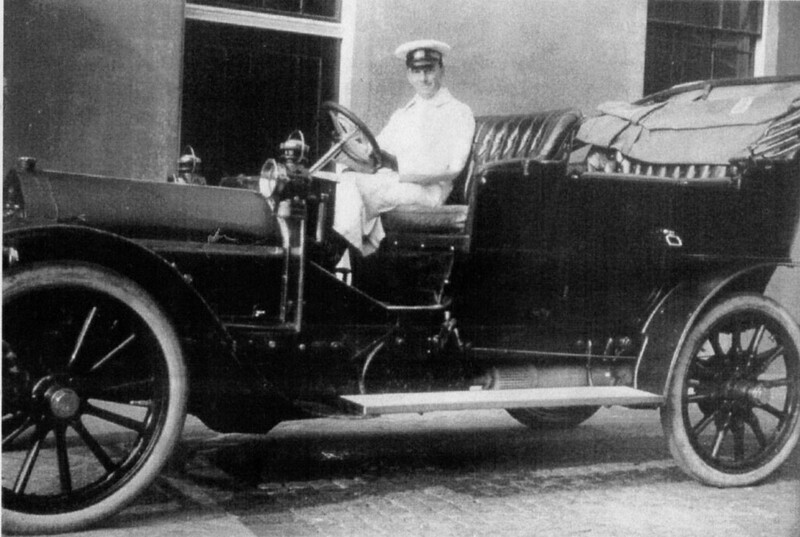 He served as a driver and was awarded the 1915 Star, the British War and the Victory Medals. After discharge in February 1919, he returned to the Somme in the October. As he was a chauffeur and he refers to “a visit to the battlefield where Lord Ashcombe lost his sons”, it is tempting to surmise that perhaps he drove Henry Cubitt on a melancholy pilgrimage. As Ernest says in his letter, he went to the French Riviera by sea at least twice, disembarking at Marseilles in the winters of 1920 and 1921 from the P and O ships “Khiva” and “Dongola”; in April 1921 he returned home from the second visit on the “Karmala”. 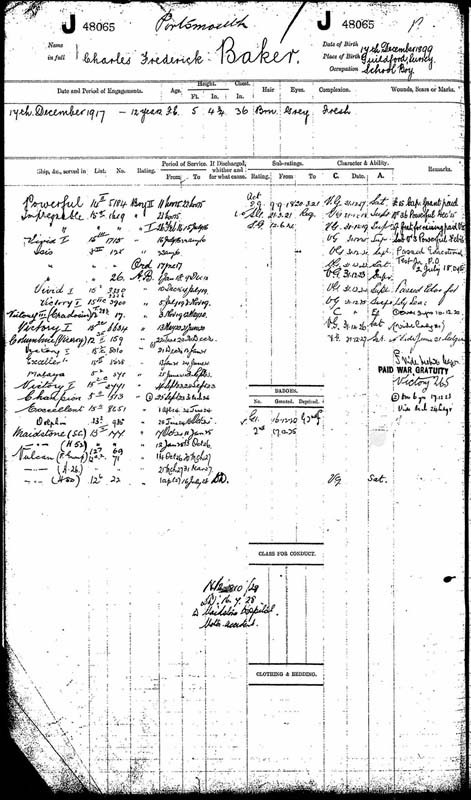 The passenger lists gave his profession as “Chauffeur”: he was not at that time in service with Hon. Roland Cubitt, but perhaps his journey was Cubitt-related, especially as Henry, 2nd Lord Ashcombe spent part of every winter at his villa in the South of France. In 1929 Ernest married Grace Evelyn Miles at Dorking and they had two sons and two daughters. Their elder son Charles Edward Baker, born 1932, was presumably named after Ernest’s dead brothers, the younger son Allen after Ernest’s father. The family moved to Braintree, Essex in 1933, though it is not known whether Ernest continued as a chauffeur. 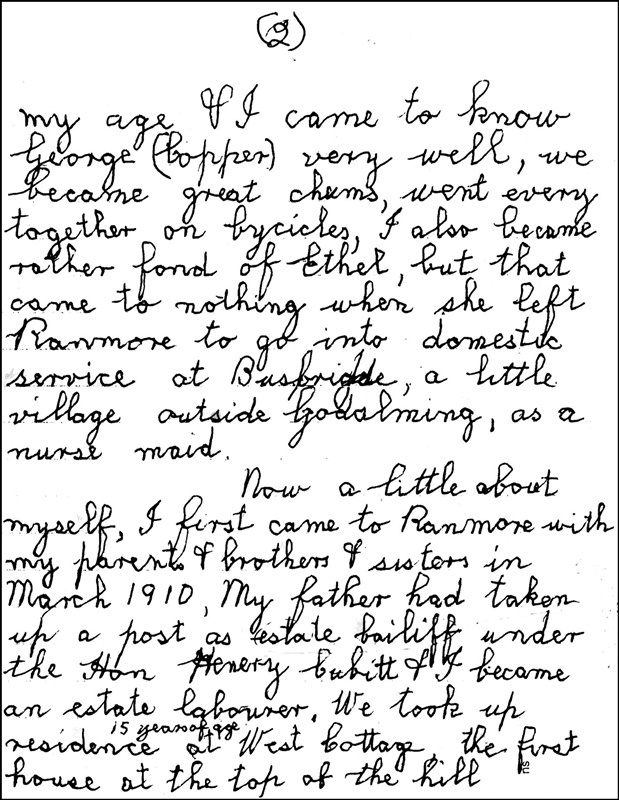 Grace died in 1979, and in 1981, while still living at Braintree with his bachelor son, Ernest wrote the interesting letter detailed partly on this page and partly on They Also Served World War 1. Ernest died in 1986 at Newmarket. Born in the last few days of the 19th century (19th December 1899), the Bakers’ second son was christened at Holy Trinity Bramley in the first weeks of the 20th (25th February 1900). 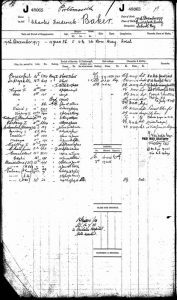 By the 1911 census, living at West Cottage, Ranmore Common, the eleven-year-old Charles Frederick is still at school, but in 1915, occupation “School boy”, he signed up to the Royal Navy at Portsmouth as a ship’s boy. He was 5 feet 4 inches tall, brown hair, grey eyes, fresh complexion. Charles served throughout the rest of the war on a range of ships beginning with HMS “Powerful” and concluding with HMS “Isis”, by which time he had become an Able Seaman. After the war he continued in the Navy, serving in another cluster of ships including HMS “Victory”. 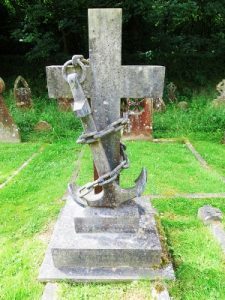 He was in HMS “Vulcan” (submarine tender converted from a torpedo depot ship), when he was in a motor accident in Kent and died in hospital in Maidstone on 16th July 1928, residence 25 Hart Road, Dorking. 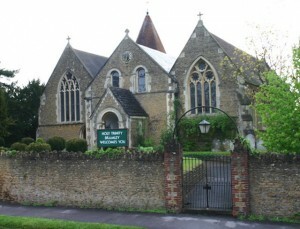 He left a young widow Alice Marian nee Kearley, whom he had married in Dorking a few months previously. CHARLES FREDERICK BAKER, A.B. R.N. A plaque commemorating Charles Frederick’s youngest brother Edward George Baker, who was killed in World War 2 in 1942, was placed within the kerbstone of his grave. 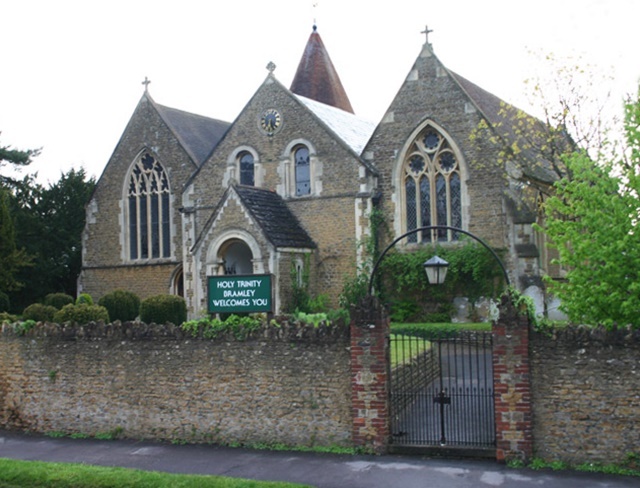 Born at Bramley on 22nd April 1903, eldest daughter of Allen and Elizabeth Baker, Mary Elizabeth was baptised at Holy Trinity on 28th June and moved with her family to Ranmore in 1910. 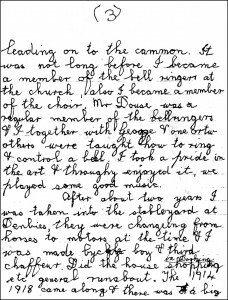 In July 1915 St Barnabas School logbook rejoiced at her winning a County Junior Scholarship to Reigate County School (“17th place in the list of 105 children”). Emily Edith was born at Bramley 5th January 1905 and baptised at Holy Trinity 26th February. She moved with the family to Ranmore in 1910 and is in the 1911 census, but nothing more has been found of her. 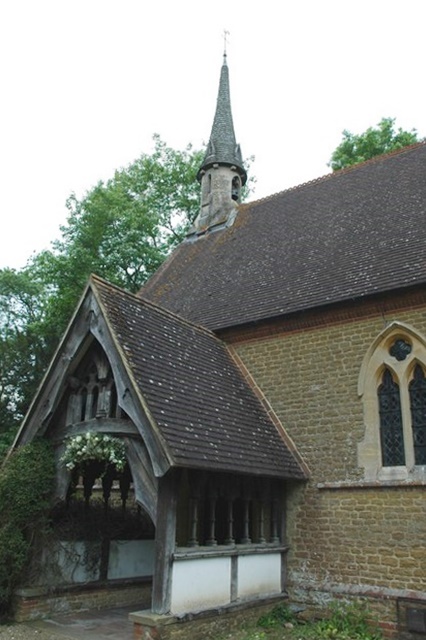 The third Baker sister was baptised on 2nd September 1906 at St Andrew, Grafham (a village near Bramley), her father Allen being described as a farmer. Ellen Ethel moved with the family to Ranmore, and is with them in the 1911 census. but like her elder sister Emily Edith nothing more has been found of her. 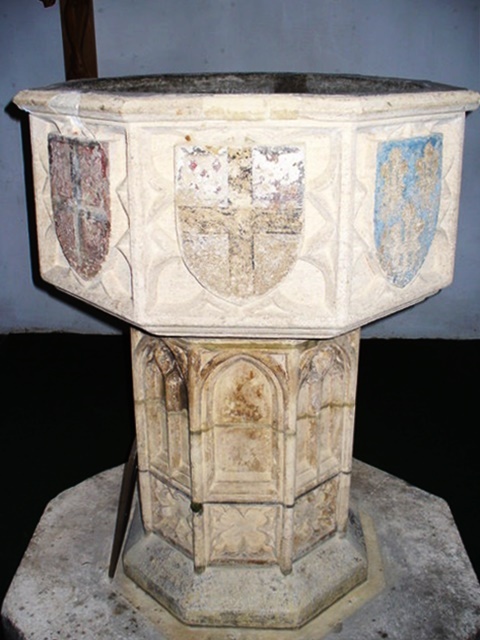 The sixth Baker child and fourth daughter was christened at St Andrew’s Grafham on 6th September 1908. 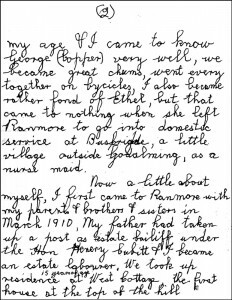 She is with the family at Ranmore in the 1911 census, but, like her sisters, nothing more has been found of her. Edward George of the Ranmore War memorial fits in here in the family order, born in 1910 on Ranmore, married there in 1939, and pronounced “Missing, presumed dead” in 1942. See his page for more details of his life and death.